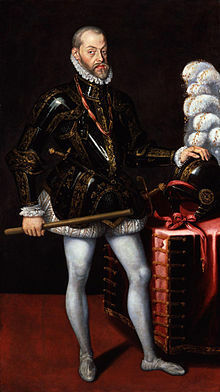 ↑ Garrett Mattingզy, The Invincible Armada and Elizabethan England (Ithaca, NY: Cornell University Press, 1963), pp. 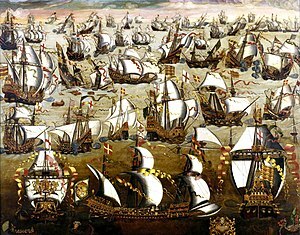 12 - 13, http://www.questia.com/read/3907270/the-invincible-armada-and-elizabethan-england. ↑ Mattingly Garrett (1959)։ The Armada։ Boston: Houghton Mifflin Harcourt։ էջ 369։ ISBN 978-0-395-08366-6։ LCCN 87026210։ OCLC 16806339։ OL 2396450M։ ID information is for the 1987 reprint The English Lord Deputy's orders were for the English soldiers in Ireland to kill Spanish prisoners which was done on several occasions instead of asking for ransom as was common during that period. ↑ Winston S. Churchill, "The New World", vol. 3 of A History of the English-Speaking Peoples, (1956) Dodd, Mead & Co., New York, p. 130.